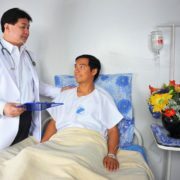 Philippine employees are mandated by law to be covered with social insurance through the Social Security System. However for government employees, they have GSIS (Government Service Insurance System) to provide them with benefits and privileges. This life insurance is designed to provide members with coverage while still in active service. It provides maturity benefits to policy holders upon reaching maturity. The more recent life insurance, only effective last August 2003, this provides automatic yearly insurance coverage to new members of GSIS based on monthly compensation. It is also designed to give enhanced death benefit to the family of a deceased member. Those who opted or will opt to convert their LEP into ELP. GSIS members who are retiring can choose from various retirement programs depending on their age and length of service. -May be availed by those who have rendered at least 15 years of service. There are two options under this category. You can either choose from a 5-year Lump Sum and Old Age pension or Cash Payment and Basic Monthly. There are three retirement packages to choose from. First, the Automatic Pension wherein they can receive their one-year monthly pension in advance for a period of five years and start receiving their lifetime monthly pension. The second option is the Initial three-year lump sum, wherein the subsequent two-year lump sum shall be paid to retirees on their 63rd birthday. The third option is 5-year Lump Sum for those who are 63-65 years old. After five years, they will receive a monthly pension for life. -May be availed by government employees who started service on or before May 31, 1977 and rendered at least 20 years of service regardless of employment status. You can refund all your GSIS premiums and additional gratuity payment from your employer. Under this law, you can combine your years of service in the private sector or your contribution to the Social Security System (SSS) with your GSIS contribution to satisfy the required years of service under PD 1146 and RA 8291. Disability refers to any loss or impairment of the normal functions of the physical and/or mental faculties of members, which permanently or temporarily prevents them to continue with work or engage in any other gainful occupation resulting in the loss of income. Disability due to disease or injury with irreversible and permanent incapacity disallowing a member to work or to have any gainful occupation resulting to loss of livelihood. Members who become permanently and totally disabled would receive monthly income benefits equivalent to the basic monthly pension effective from the date of disability. Separated members can still file for this benefit given that they rendered at least three years of service. This arises due to the complete and permanent loss of the following resulting to disability to work for a limited period of time. This happens if the impaired physical or mental faculties can be rehabilitated and or restored to their normal functions, but the member cannot work or engage in any gainful occupation for a limited time. Just like SSS, GSIS also offers various loans for members to help with their financial needs. 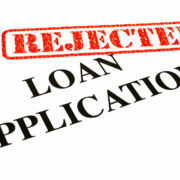 Different loans are as follows. The Conso-Loan combines five different loan products into one- Salary Loan, Restructured Salary Loan, Enhanced Salary Loan, Emergency Loan Assistance, and Summer One-Month Salary Loan. The Policy loan is a loan program which a member may avail from his/her GSIS life insurance policy. The loan, bearing an 8% interest rate, may be paid either through monthly amortization or deduction from a member’s existing life insurance policy contract. The Emergency loan provides assistance to GSIS to members affected by natural calamities. GSIS provides Php30,000 funeral benefit to a deceased member payable to legitimate children, spouse or any other person who can show proof of paying for the funeral. The unemployment benefit is paid when permanent government employees who have paid the required 12 months integrated contributions under RA 8291 are involuntarily separated from the service as a result of the abolition of their office or position usually resulting from reorganization. The benefit is in the form of monthly cash payments equivalent to 50% of the average monthly compensation (AMC). The duration of the benefit depends on the length of service and ranges from two months to a maximum of six months. The Separation benefit is given to employees who have not reached the retirement age of 60 but have been separated from the service. The benefit can either be in the form of cash payment or both cash payment and pension.